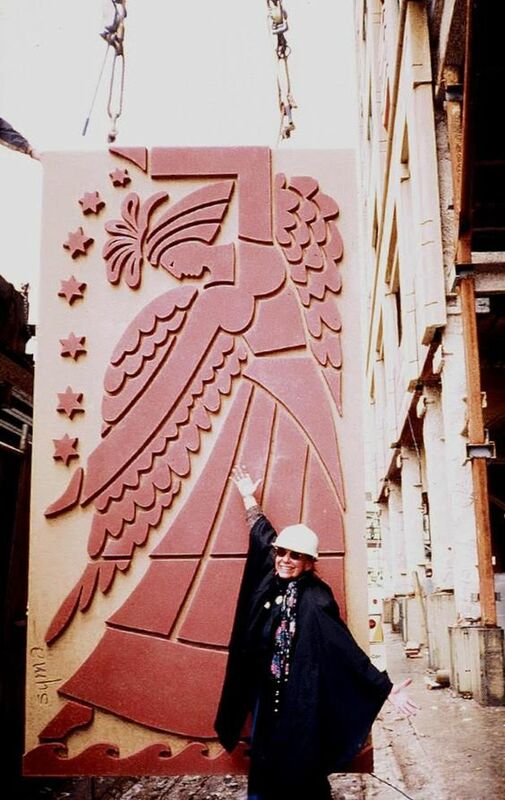 …it calls forth a singular reaction that can’t be separated from its location, which confronts visitors along a 33-foot-long wall from the moment they enter. Like Summer Olympics 2016, ongoing in various Rio venues, it is nothing short of spectacular. 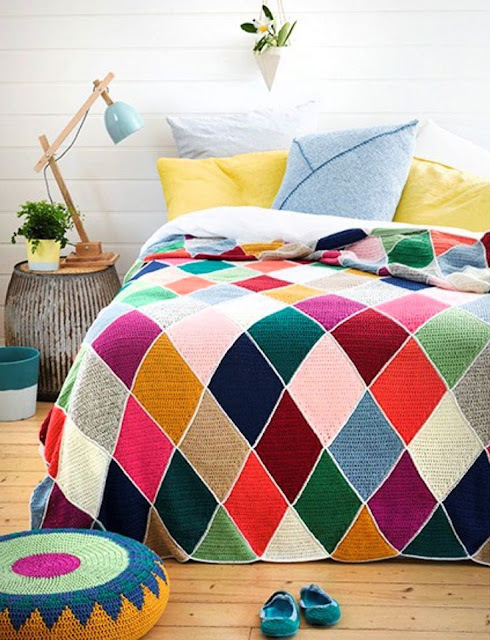 A country that loves boho home decor, I might add, which manages to sneak in here as ubiquitous in the landscape as the singer of the famed song. Architect Thiago Bernardes of Bernardes + Jacobsen, a firm known for its tropical-modernist approach, oversaw the renovation, which involved enlarging the living room and knocking down walls to take advantage of the legendary view. Here, a Nancy Graves painting hangs above a Pinto-designed sofa in the first of two seating areas bisected by the polished chrome stairs. 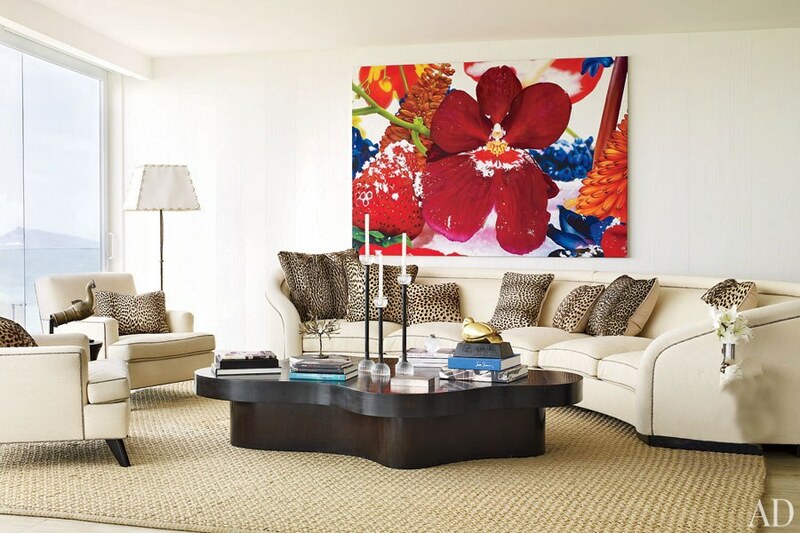 At the other end of the living room, beneath a Marc Quinn painting, is another Pinto-designed sofa. 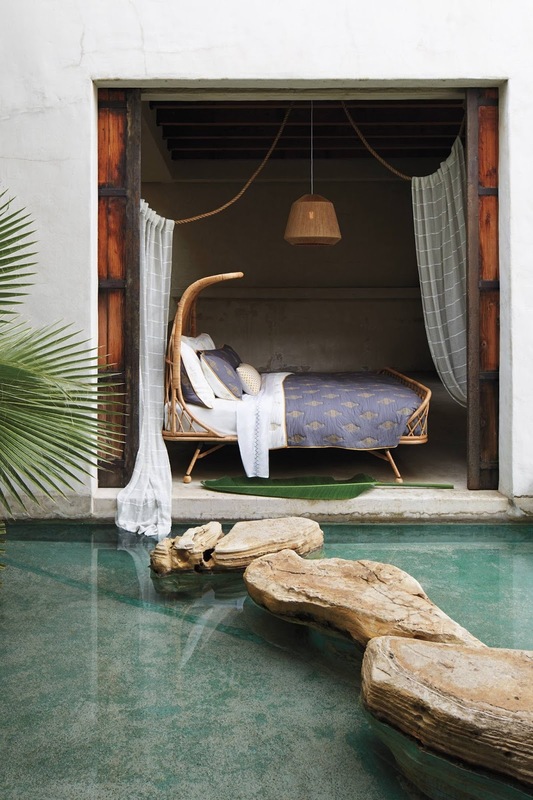 The cushions are real leopard fur—made from vintage leopard coats—and a nod to the jaguars that haunt Brazil’s rainforest. 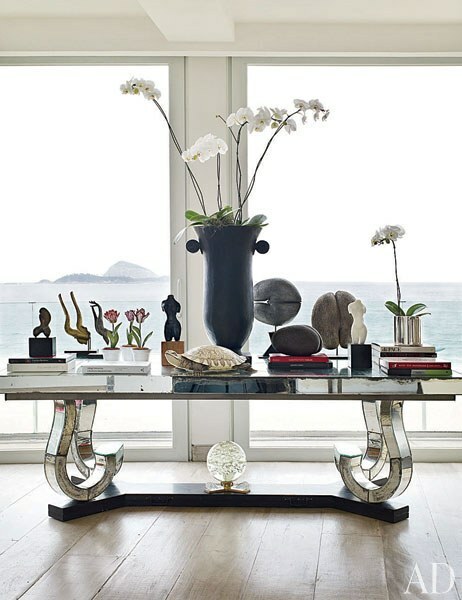 The table positioned front and center in the living room holds artifacts reminiscent of an archaeological expedition of the famed Cagarras archipelago it overlooks—an ivory turtle, an Art Deco vase, and sculptural coco de mer seeds. 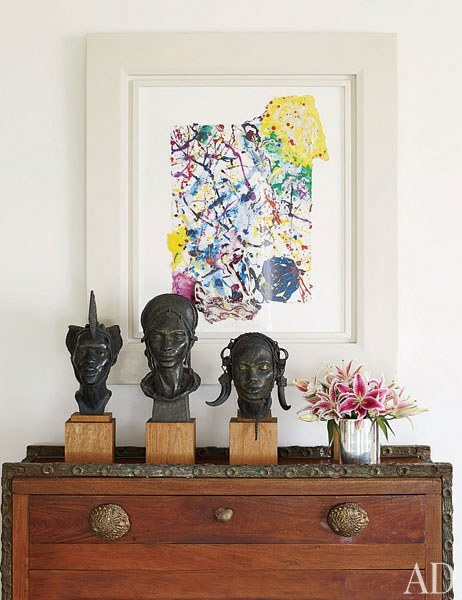 The bronzes in this vignette are by Jacques Darbaud, and the painting is by Sam Francis. I’m loving the chest beneath them, with its rich woodgrain and weathered fittings. The drawer pulls remind me of shells or sea creatures. 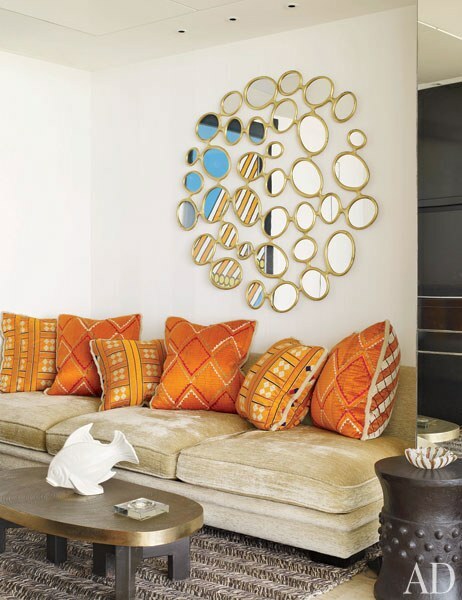 Throw pillows in the adjacent television room are dressed in antique silks from India. 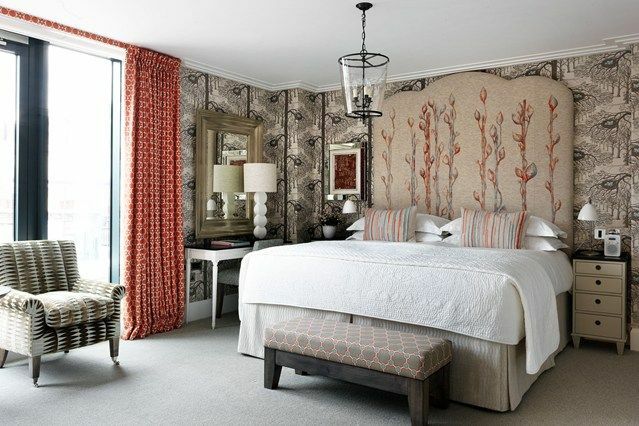 A seagrass area rug grounds the space and lends texture. Pinto purposefully kept the design throughout the space understated so it wouldn’t compete with the view. 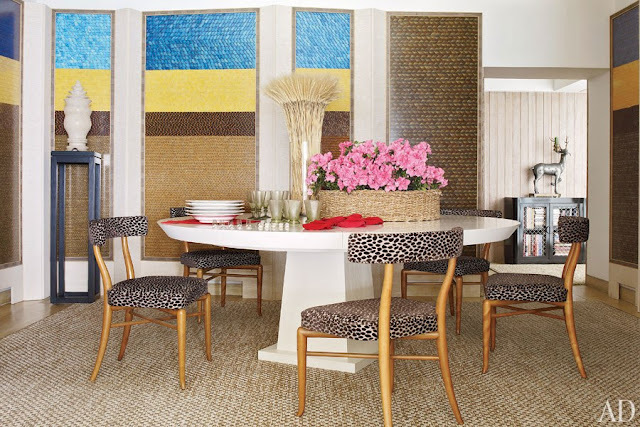 The dining room is one of few places in the apartment, however, without a seaside overlook, so he upped the ante with chairs upholstered in cheetah-spot cotton and wall panels made of farmed butterfly wings. The striped panels conceal storage and are reminiscent of ritual feather capes worn by the indigenous Tupinambá people. 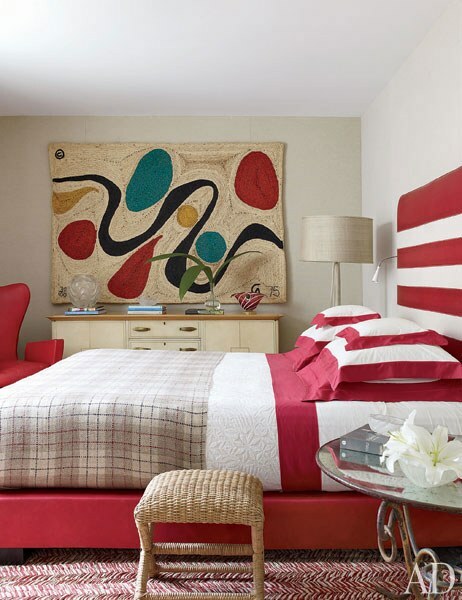 The master bedroom features a Mimmo Paladino painting and a massive ammonite fossil. 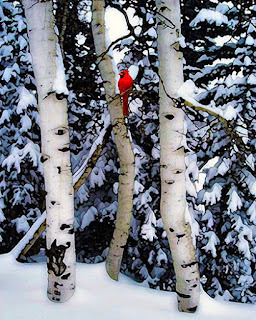 I love the understated, yet visually arresting, color palette. Come to think of it, I could say, every time I pass it I go, a-a-ah! 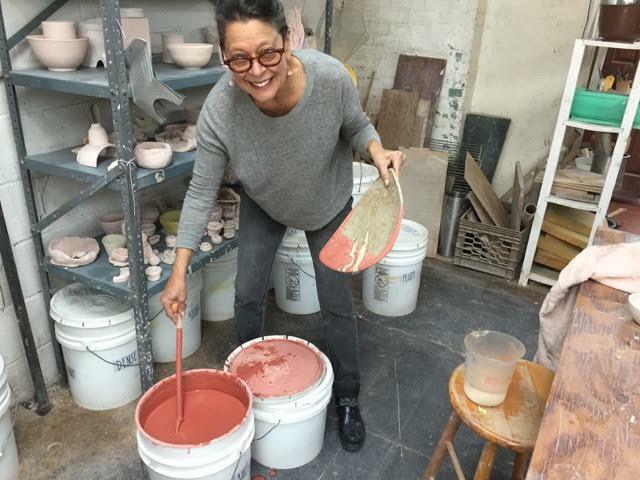 Pinto’s work has intermingled cultural influences with elegance ever since the former photography agent crossed over into interior design more than four decades ago. The button-tufted Italian chair shown here is covered in faux crocodile, a nod to his geography-is-decorating-destiny approach. Bleached-mahogany cabinets throughout the master bath and dressing area call to mind the barns of Brazil’s cattle-ranching operations and, of course, the rainforest itself, where mahogany grows. The portrait in reflection is another by Marc Quinn. 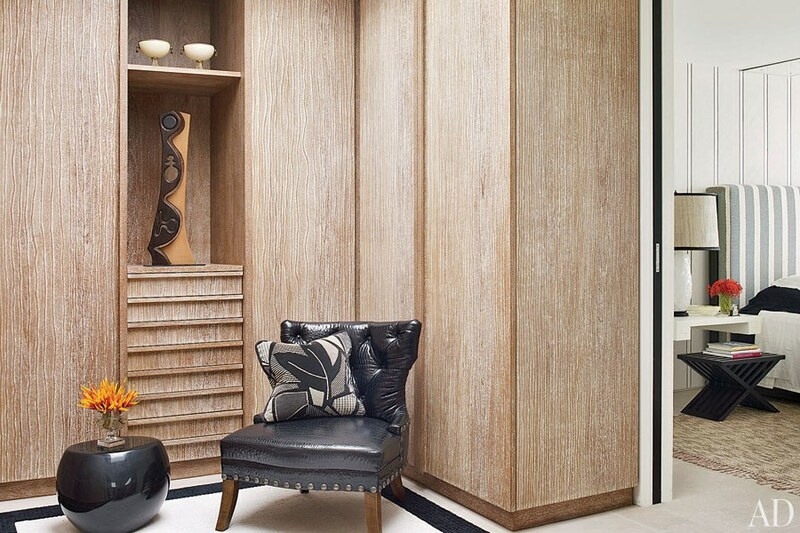 And what dressing area would be complete without a private office? 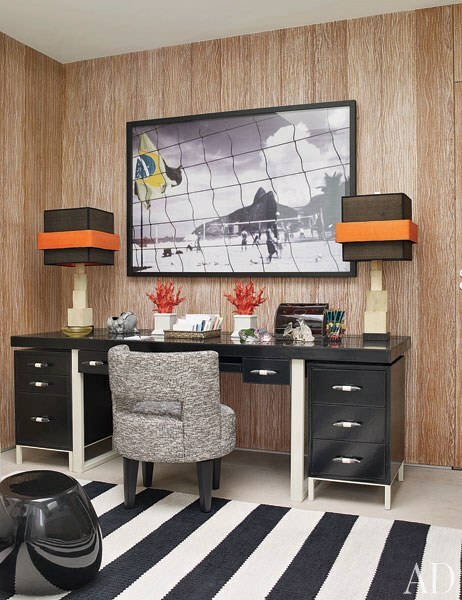 The Almir Reis photograph over the desk is of volleyball on Ipanema Beach, just outside. 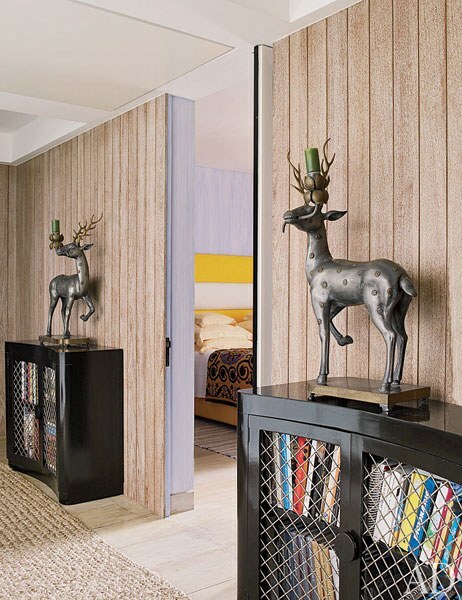 The bleached-wood walls carry over into a corridor that leads to no less than three guest rooms. 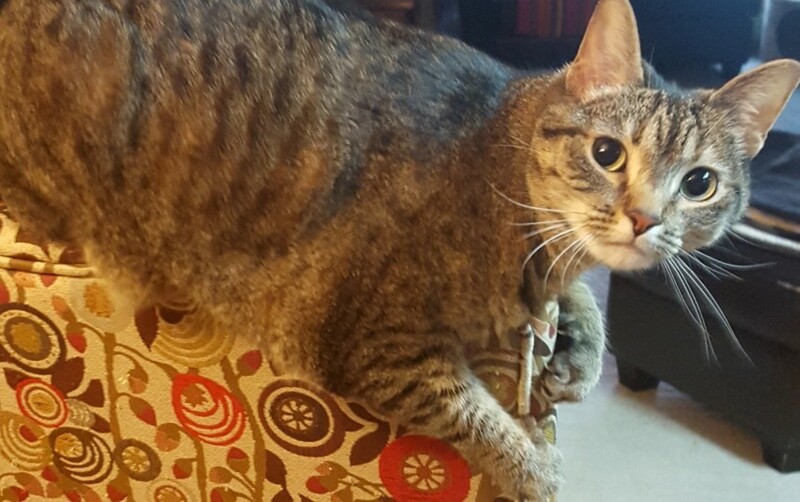 Pinto says of the natural materials used in rugs throughout the home, “Materials like these are more appropriate to Brazil than silks and velvets.” Though, as you have seen, he has plenty of THOSE here, too. A baroque red leather secretary looks like it might have made its way over the sea with members of the Portuguese court fleeing the Peninsular Wars in the early 19th century. 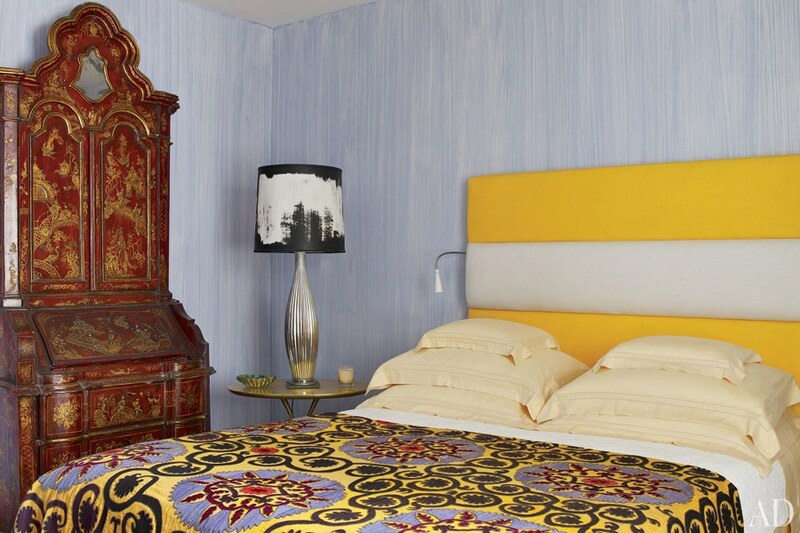 The coverlet is suzani and makes a striking statement topped with the bold yellow-and-white headboard. In another guest room, a maguey-fiber wall hanging, handwoven in Central America in the 1970s, presides. It’s modeled on the work of Alexander Calder, but the central whiplash design is reminiscent of the wave-pattern pavement that has been a Rio leitmotif for decades. 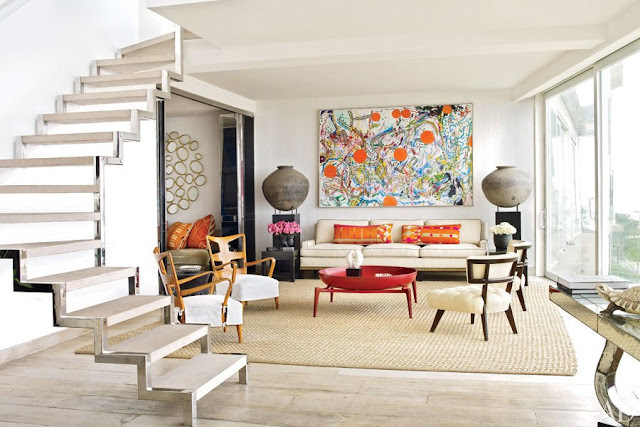 The tour of Pinto’s lush digs continues at Architectural Digest: “Alberto Pinto’s Rio de Janeiro Retreat,” by Mitchell Owens. Check out Alberto Pinto’s star-studded portfolio HERE. 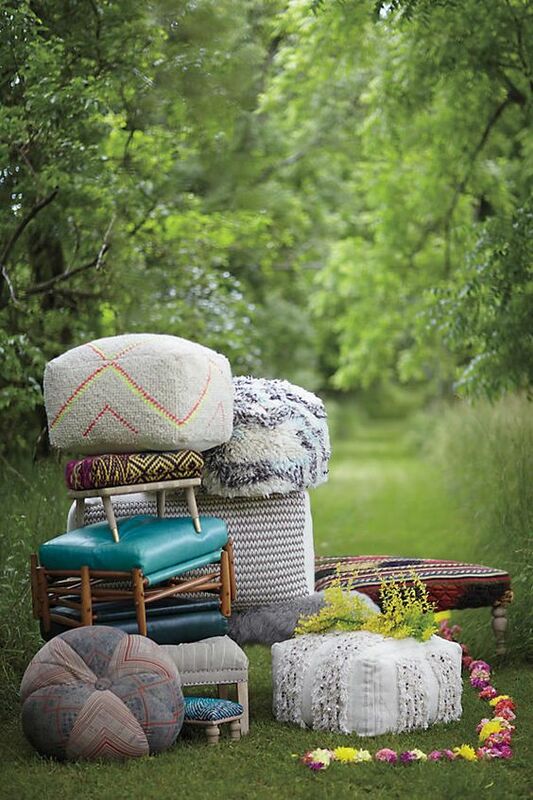 And why not be serenaded with some bossa nova while browsing? Listen to and see The Girl from Ipanema on Youtube, performed by Frank Sinatra in duet with the song’s Brazilian author—the father of the bossa nova beat, Antônio Carlos Jobim. For more boho home décor inspiration, follow my blog with Bloglovin or get to-your-inbox updates using one of the subscriber services listed below this post. 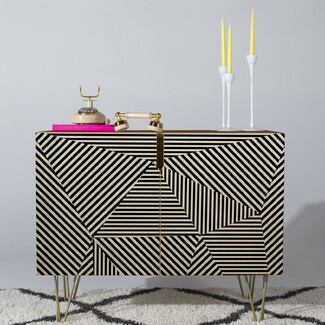 Next PostNext My Boho Heart Can’t DENY It: This Credenza is Home Decor JUNK!